Warner Bros.’ upcoming digital service, which has officially been christened DC Universe, has swung its doors open to Swamp Thing, the fan-favorite comic book character who is about to get a drama series of his own. Per THR, we understand this is a script-to-series order, meaning if the story treatment strikes a chord with the Powers That Be, Warner Bros. will commit to a full-blown, live-action drama based on the original characters drawn up by Len Wein and Bernie Wrightson all those years ago. That’s a responsibility that has been placed upon the shoulders of Mark Verheiden (Ash vs. Evil Dead, Marvel’s Daredevil) and Gary Dauberman (It: Chapter Two), who have signed on to co-write Swamp Thing, and potentially serve as showrunners, providing everything falls into place. And perhaps most exciting of all? James Wan (Aquaman) will executive produce alongside his Atomic Monster banner cohort, Michael Clear, so we can readily expect Wan to bring all of his horror-thriller experience to bear when providing pointers and tips on Swamp Thing. 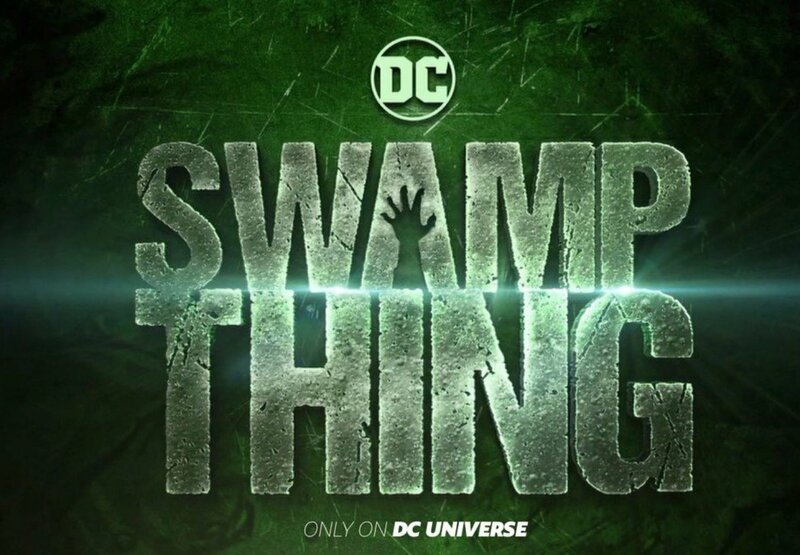 Said to be targeting a premiere in early 2019, Swamp Thing is now one of several high-profile DC TV series gestating in development, given Warner Bros. has issued the go-ahead for Titans and Young Justice: Outsiders as its first two original projects, before a Harley Quinn animated show springs into life shortly thereafter. Originally, the former live-action show was supposed to be followed by Metropolis, the Superman spinoff about Lois Lane and supervillain Lex Luthor. Alas, the 13-episode, straight-to-series order is now in the process of being overhauled. Be that as it may, all of these projects will exist under the umbrella of DC Universe, which is now due to make its big debut before the year’s end with the aforementioned Titans. Swamp Thing, meanwhile, has been earmarked for early 2019.